Grand Cayman, Cayman Brac and Little Cayman. Between TV commercials and THE FIRM, we all know this lovely Caribbean island trio. Located just 480 miles south of Miami, about an hour by plane. The Cayman Islands are safe, relaxing, tranquil and best of all, home to some of the friendliest people in the Caribbean. It’s no wonder that so many honeymooners choose to begin their lives together in the beautiful Cayman Islands. What’s so surprising about the Caymans at first is how un-British they are – it would be hard to design a more Americanized place than Grand Cayman, where the ubiquitous SUVs jostle for space in the parking lots of large malls and US dollars change hands as if they were the national currency. Only the occasional portrait of the Queen or a fluttering Union Jack ever begs to differ. This contradiction is just the first of many you’ll discover while getting to know these islands. The key to understanding what makes the Caymans tick is getting away from the crowded commercialism of Grand Cayman’s long western coastline and exploring the rest of the island. Better still, leave Grand Cayman altogether and visit the charming ‘sister islands’ of Cayman Brac and Little Cayman. Here life runs at a slower pace and the natural delights that see people coming back again and again – from bird-watching and hiking to diving and snorkeling – are never far away. The Caymans may lack the dramatic scenery and steamy nightlife of much of the rest of the Caribbean, but in their place you’ll find a charming, independent and deeply warm people spread over three islands boasting many of life’s quieter charms. 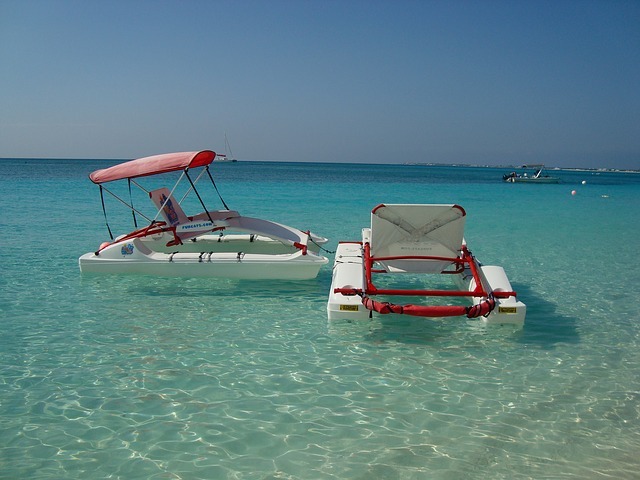 Grand Cayman is the largest island in the Cayman Islands, and it is also the busiest. On the western shore, the capital of Georgetown opens onto the waters of the Caribbean Sea, its hundreds of banks being responsible for the island’s prolific offshore banking reputation. Most tourists aren’t interested in the banking side of things on a Grand Cayman vacation, however. Instead, they come for the world-class diving, the spectacular beaches, and the satisfying mix of shops and restaurants. 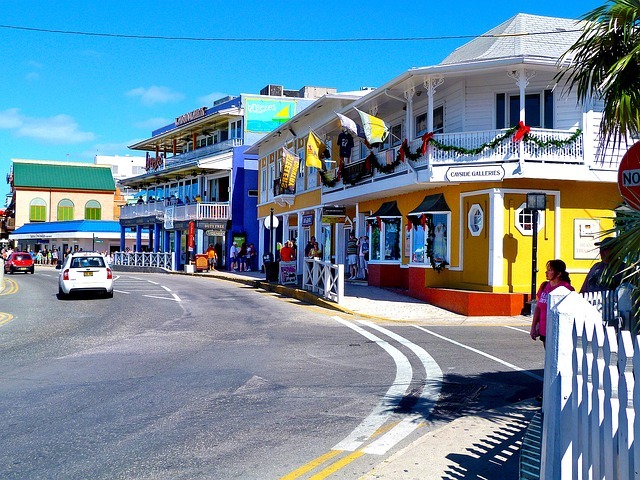 The tourist attractions on Grand Cayman Island offer something for everyone, and there is no shortage of enticing accommodations to choose from. Little Cayman Island has an appropriate name, as it is anything but big. Just ten miles long and a mile wide at its widest point, this is the smallest island in the Cayman Islands, and it is also the least populated. Only around 150 people call the island home, and since there isn’t much in the way of development, most of them work in the tourism industry. As is true on the other islands in this small Caribbean archipelago, the Little Cayman diving is superb, and that’s what brings the bulk of the visitors in. Diving isn’t the only option when it comes to things to do on Little Cayman Island, however, and tourism is increasing thanks to the fact that more and more travelers are beginning to see the allure of a Little Cayman escape. There is a strong Jamaican influence in the national cuisine, but most restaurants serve a cosmopolitan menu. Standards are generally high with good service, and credit cards are widely accepted credit cards. Bars and restaurants are well stocked with all beverages normally consumed in America and Europe. Draught beer is available in a few bars. Jerk chicken (chicken marinated in hot spices). Conch chowder dishes, including fritters, stew and chowder. Grand Cayman visitors can choose from a wonderland of more than 159 dive sites. It’s all here: steep, deep walls adorned with sponges and corals in a stunning array of colours, shallow reefs filled with schooling and solitary fish and small invertebrates, and wrecks featuring photogenic structures and curious marine residents. There’s also the World’s Best 12 Foot Dive – unique Stingray City. Grand Cayman’s reefs offer a variety of marine life encounters. The fish and critters are unafraid of divers, knowing we pose no threat. They don’t flee when approached. Instead, silvery Tarpon hover motionless in mid-water, surrounded by glittery Silversides, and French Angelfish that fin in close to check you out. Huge Barrel Sponges and swirling schools of fish are common off Grand Cayman. These reefs are unspoiled while orgonians and hard corals thrive in the clear, warm waters. Most dive sites are just minutes offshore. The best time to visit is from December to April, when the temperature averages a pleasant 75°F (23.9°C) and humidity is at its lowest. During the off-season, temperatures average 83°F (28.3°C) with July and August usually being uncomfortably hot. During these times crowds dissipate, particularly on Cayman Brac and Little Cayman, bringing lodging rates down by as much as 40%. Rainfall is highest from mid-May through to October, with frequent afternoon showers that clear as quickly as they arrive. The official currency is the Cayman Islands dollar (CI$), permanently fixed at an exchange rate of CI$0.80 to US$1 (CI$1 equals US$1.25). Cayman dollars and US dollars are accepted throughout the islands, although you’ll usually get change in CI$ even if you pay with US$. The local currency comes in CI$1, 5, 10, 25, 50 and 100 notes. All major currencies can easily be changed at any bank. ATMs are easy to find across Grand Cayman. There’s one on Cayman Brac and none on Little Cayman. There are excellent medical facilities in the Cayman Islands. For minor illnesses, nearly all hotels will have a doctor on call or will be able to help you find assistance. In more serious cases there is a good hospital on Grand Cayman, and a smaller one on Cayman Brac; anyone who falls ill on Little Cayman will usually be flown to the latter hospital. All visitors to the Caymans should have comprehensive medical insurance as no reciprocal health-care agreements exist with other countries. Board a flight from the gateway city of Miami and in just one hour you’ll be in the Cayman Islands, a British Crown Colony of three islands that total just 100 square miles in area. They are an attractive mix of Caribbean charm and American efficiency. Sweeping white sands and clear blue waters, year-round vacation weather, great duty-free shopping, and the courtesy and ready charm of the island’s residents offer the very best of all worlds.